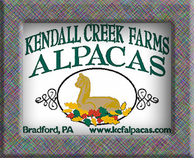 Kendall Creek Farms, Ltd. is a farm located in Bradford, Pennsylvania owned by Chris and Lori Works. Isidoro cria in ALL colors, gray and black thru white! Welcome to Kendall Creek Farms. We are located in Bradford, PA on 74 lush acres of pasture and woodlands. We have operated the ranch for over 20 years, and we are still, "Lovin' every minute of it....". 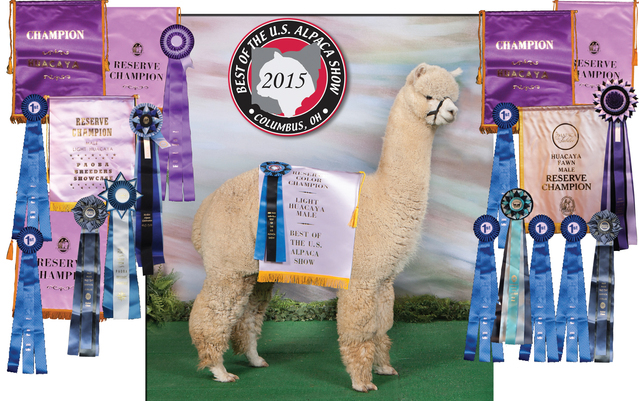 With all that time invested, we feel that our experience can be of benefit to both the newly interested and the established alpaca community. 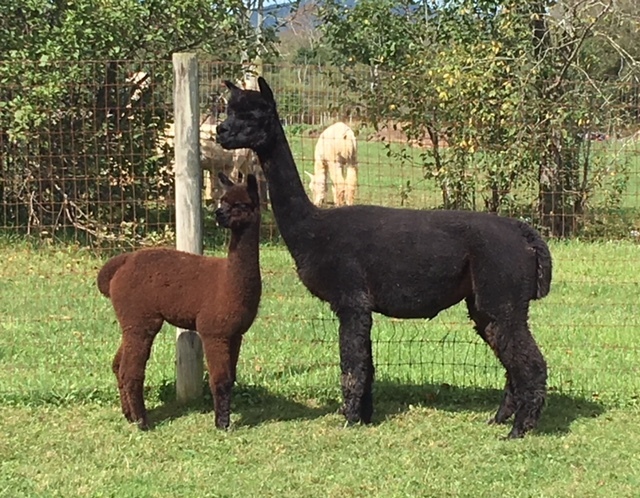 Our first interest in the alpaca is for their proper care and the advancement of the breed; and you will find us more than willing to share our knowledge toward that cause. 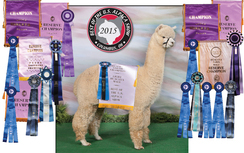 Give a call or shoot a mail and lets talk about alpacas! Our plege at Kendall Creek Farms, is that we will work with customers in order to find the best financing offer that suites their needs. Let us know what works for you, and we will work toward that.